I think this is the first of it’s kind globally?!? And not only does it provide inspirational stories & information, but it also provides numerous recipes [all in English]. I wanted to share the news with everyone, since being digital, anyone globally should be able to purchase it. I purchased my digital copy yesterday. YAH!!! And the more it’s supported, the more it will continue being published. Happy reading & finding further support & inspiration to the LCHF way of life! This entry was posted in LCHF recipes and tagged Atkins, banting, LCHF, LCHF magazine, lchf recipes, lose it, LOSE IT! 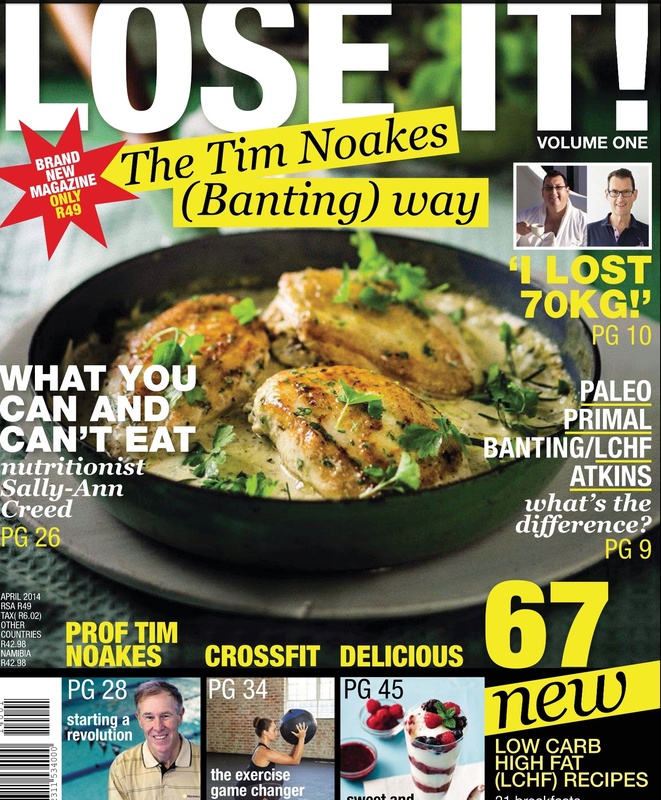 magazine, magazine, tim noakes by angelb38. Bookmark the permalink. Just what a lchf gal needs! !